Körper is an ongoing series by Hanns Holger Rutz and David Pirrò about coupled systems that explore the relationship between corporeality and the algorithmic. The first module can be experienced at the 6th Conference on Computation, Communication, Aesthetics & X (xCoAx) in Madrid, July 11 to 13. 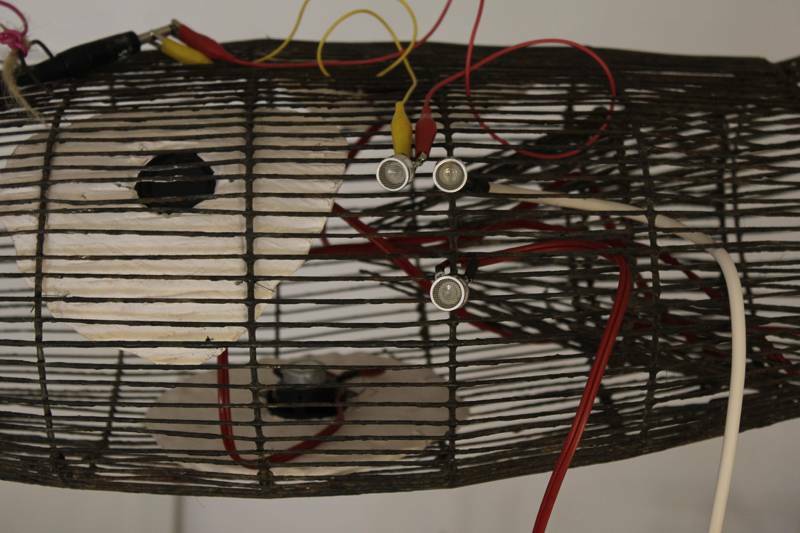 It is an installation / object comprised of ultra-sound sensors, sound, and video. Please see the Research Catalogue for background and working process.